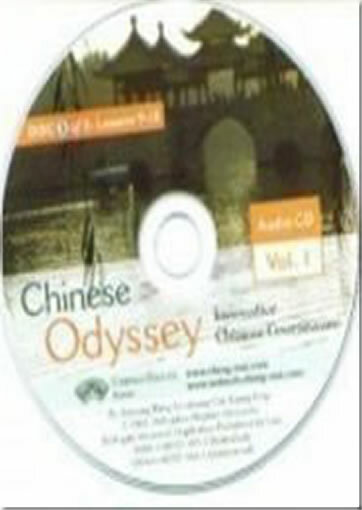 Chinese Odyssey is an interactive series combining text and technology to enlighten and stimulate students of Chinese at all levels. 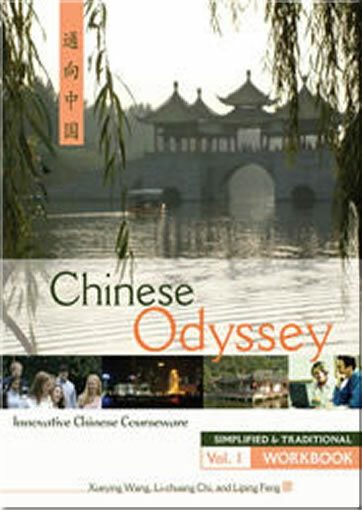 Developed and field-tested by a teaching team from Johns Hopkins University, this flexible courseware is carefully sequenced to take students through their first three years of Chinese. 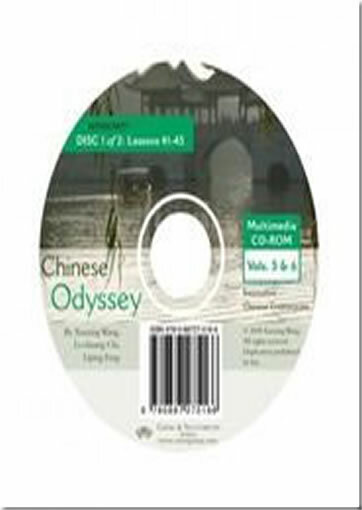 Chinese Odyssey makes the best use of multimedia formats and enables students to practice new language skills in a variety of interactive situations. The oral/aural emphasis and pace of each textbook, workbook, audio CD, and CD-ROM are geared to the American high school and college instructional environment. 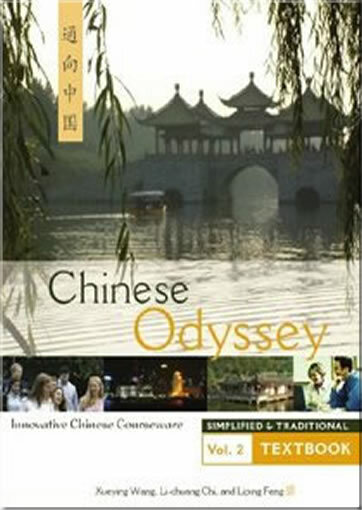 The Chinese Odyssey materials can be combined in different ways to meet the needs and preferences of different learning styles and language programs. •CD-ROMs contain all the grammar, vocabulary, exercises, and audio content from the textbooks and workbook in their respective levels, and can be used as a stand-alone, multimedia-based course. •The textbook and workbook are available for those who prefer to work with some printed materials. They can be used with or without the CD-ROM. •Audio CDs contain all the audio content from the textbook, plus the listening and speaking exercises from the workbook. Audio CDs are essential for those who are working with the print textbook and workbook alone. 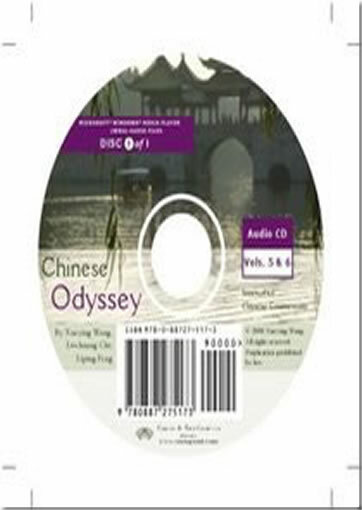 The Chinese Odyssey series takes students through three years of Chinese language and culture with textbooks, workbooks, audio CDs, and CD-ROMs to correspond to every lesson. 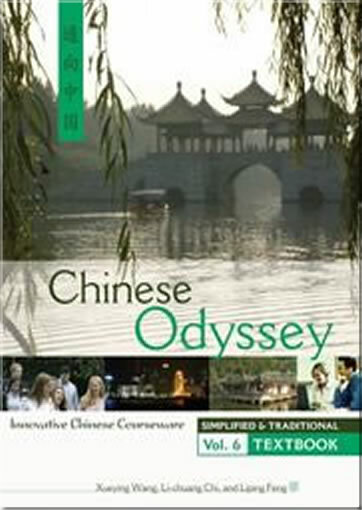 Each year of Chinese Odyssey is split into two volumes (one volume per semester), covering 20 lessons per year for each of the first two years, and 10 lessons for the final year. Volumes 1 and 2 textbooks and workbooks present simplified and traditional characters in separate sections of each book, to provide ready access to both character sets without overwhelming beginning students. 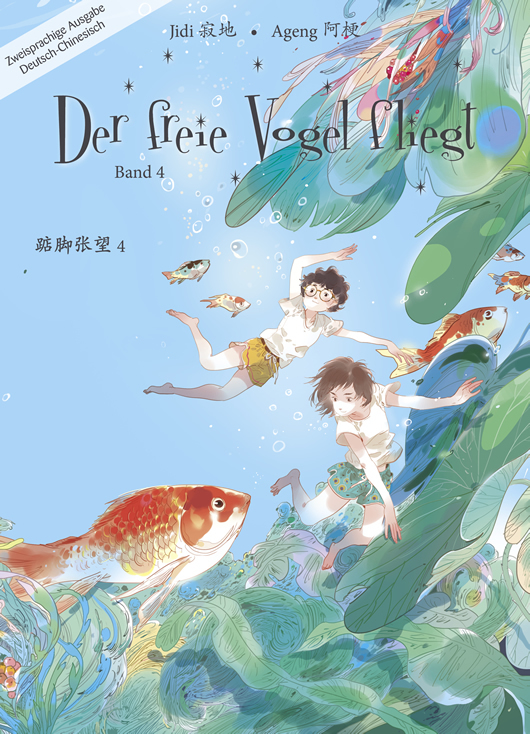 Higher level volumes present traditional and simplified characters on facing pages, to encourage fluency in students who wish to study and compare the two forms. In Volumes 5 and 6, practice exercises are incorporated into the textbooks, eliminating the need for a separate workbook. Language calls upon the senses. •Exercises and quizzes modeled after the Hanyu Shuiping Kaoshi (HSK), China’s standardized test for foreign learners of Chinese. 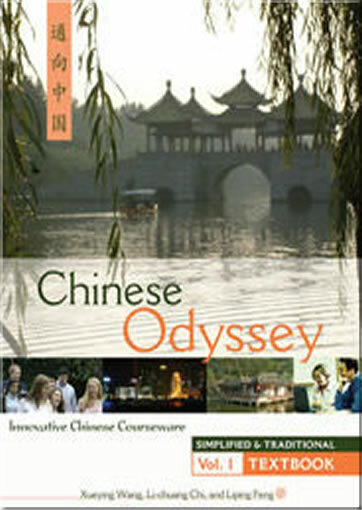 This series is ideal for anyone who plans to study or work in China. •A variety of images, video, audio, readings, and activities that incorporate all the basic language skills in a dynamic multimedia environment. •Precisely graded vocabulary and realistic vocabulary pacing. •Clear, detailed explanations of grammatical rules and language usage. 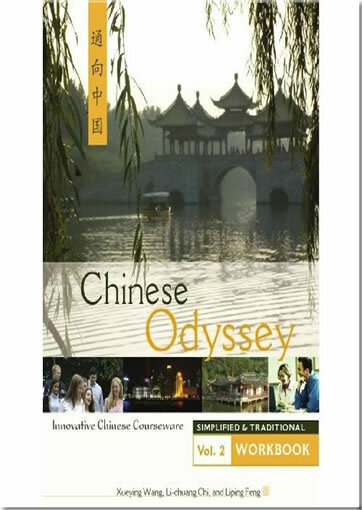 •Emphasis on natural, colloquial language, and generous use of idioms throughout the core course to enhance students’ working knowledge of Chinese culture. •Flexibility for students to optimize multimedia activities for their personal skill level, such as the ability to adjust the speed of audio clips. •Immediate feedback on exercise results, with relevant explanations to further improve students’ language skills. •Textbooks and workbooks are available in combined simplified/traditional character editions. 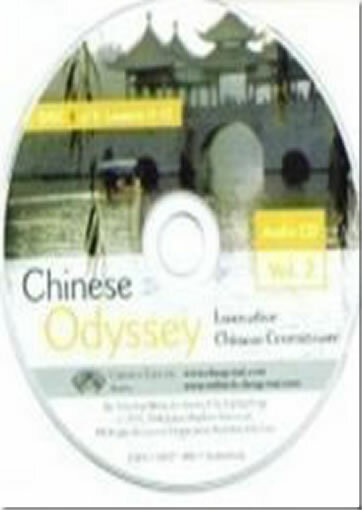 Note: CD-ROMs available only for Windows, not compatible with Windows Vista or greater. This product was added to our catalog on Mittwoch 14 März, 2012.